Happy 2014! 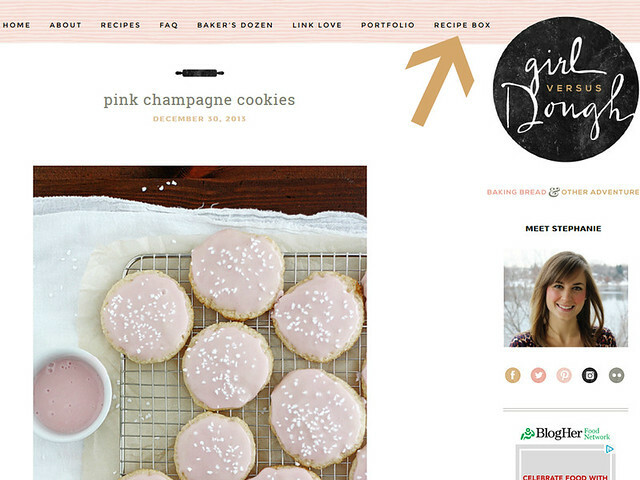 We’re ringing in the new year with fancy cookies and new features to this humble lil’ webspace of mine. Recently, I signed on as a partner with ZipList. And here’s where you’re either all, “Wahoooooo! I love ZipList!” or “Um, what are these words you are typing. Do not understand.” In either case, I’m going to walk you through what ZipList is and does and how to do it all on Girl Versus Dough. ZipList is a meal planning/grocery listing/life altering tool that a whole host of other bloggers I love use to help, well, do just those things. 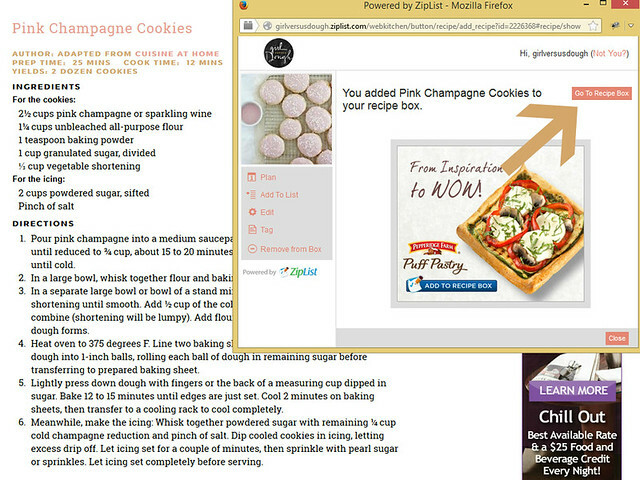 So when you see a recipe on my (or anyone else’s) blog that you’re going gaga for and want to save for later, ZipList does the job for you. It’s pretty nifty. See that “Recipe Box” category in the navigation bar? That’s your ZipList headquarters, so to speak. If you click on that link and you’re signed into your ZipList account, you can access all of your recipes, grocery lists, meal plans, etc. This is where, if you save a recipe from my blog or any other site that utilizes ZipList, it will be stored and saved for your use. So how, exactly, do you save a recipe on Girl Versus Dough? When you scroll down to the recipe at the bottom of a post, there is a “Save” button next to the print button and recipe name. 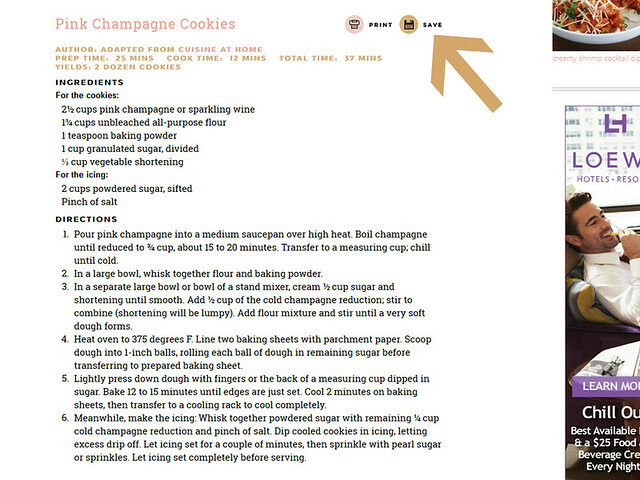 If you click on that button, a pop-up window will appear letting you know that you’ve saved the recipe to your Recipe Box in ZipList. 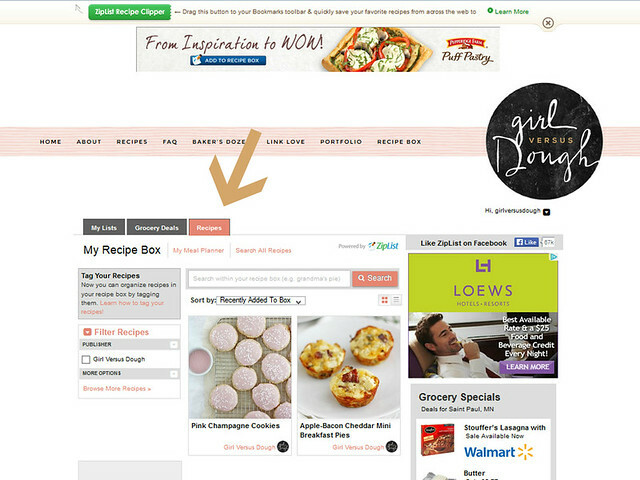 From there, you can click on “Go to Recipe Box,” and it will take you to your ZipList homepage where all the recipes you’ve ever saved through ZipList can be accessed. On this page you can also create a meal plan, create shopping lists, view grocery deals and more. To go back to Girl Versus Dough from the ZipList homepage, just click “Home” on the navigation bar at the top of the page. That’s it and that’s all, ladies and gentlefolk! If you want to learn more about ZipList and all its features (or to sign up), check out their homepage. Happy weekend, dear hearts. I’ll see you Monday with something super savory and oh-so-tasty. Ziplist rocks! You will love it! Wonderfull news ! I love Ziplist. Great news! Ziplist is rad! Yay for ziplist! it makes so many things in life so much easier. Congratulations!! A great addition to your beautiful blog 🙂 .